Latoya Scott Lewis, Wedding Coordinator at Couples Tower Isle, is in charge of making your home away from home destination wedding a dream come true. Having worked in the wedding business for a decade, she knows what it takes to create one of the most important day of a couple’s lives. She talks to us about private island ceremonies, the excitement of the day and how her accounting skills help her organise a wedding. How did you discover your flair for wedding planning? When I was a teenager I was always decorating my home with my grandmother and making things for the neighbours. I planned my sister-in-law’s wedding when I was 20-years-old and got great reviews about it. I was told I should look into this field of work. I was very hesitant at first because I was working in accounts at the time. I soon found my accounting skills of being very meticulous and precise carried over to my role as a wedding coordinator. I’ve now been in the wedding business for ten years now. 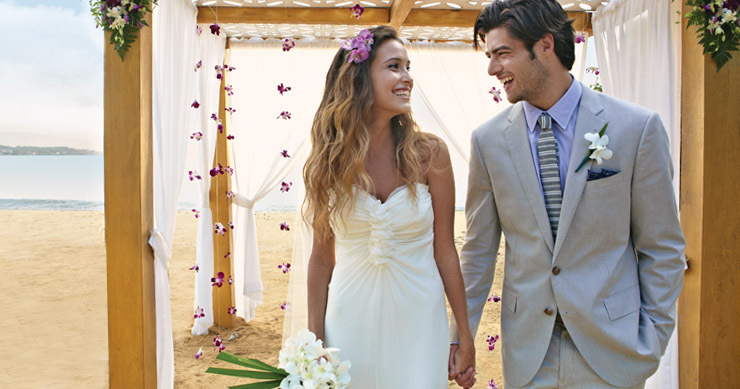 What’s your favourite thing about planning a wedding at Couples Resorts? I have so many favourite things! 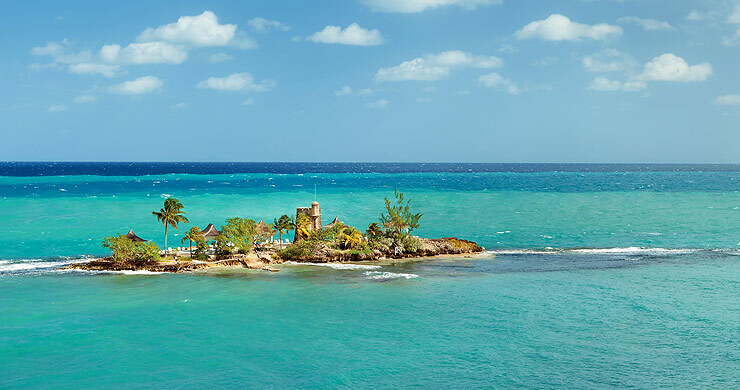 I get very excited planning weddings on our private Island at Couples Tower Isle (see image below). I love that I am there to help make the day more special for betrothed couples – sharing in their excitement and nerves – and working with them to create the wedding of their dreams. 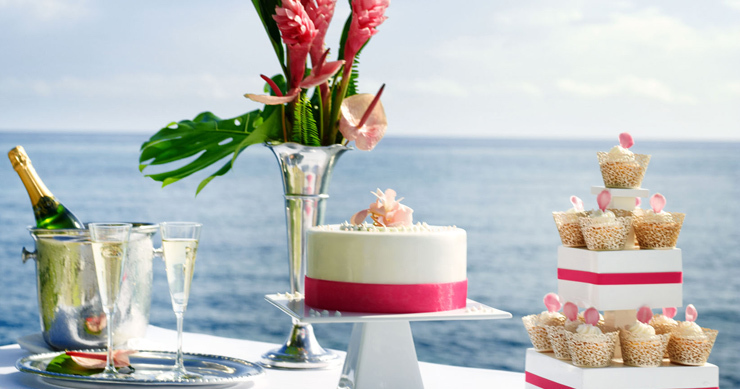 What’s the most challenging thing about planning a wedding on a beach? The hard part is waiting. On many occasions the bride and groom can’t wait to get married and of course being a wedding planner it’s easy for me to share that sense of excitement. And of course the pre-wedding jitters, where some couples want to make last minute (sometimes last second!) changes. But, with ten years of experience we are very prepared and can usually cater any last minute requests. Thankfully we never have to worry about overbooking. We only use one wedding location per couple on the day so they, along with their guests, have a feeling of total privacy when they say their vows. You’ve got wonderful wedding packages but how do you make sure no two weddings are alike? Every bride and groom has their own unique style. I always try to incorporate this in the wedding. The bride will have her beautiful dress and the groom has his handsome outfit. The couple will have an opinion on colour scheme, flowers and how the ceremony will look and be conducted. How many weddings does the resort plan each year? There are around 400 weddings planned a year – that’s across all the hotels. Do you have a favourite wedding you’ve worked on? I have worked with some outstanding brides that I will always remember. However, every wedding is special and I feel privileged to help plan one of the most important day in a couple’s life. 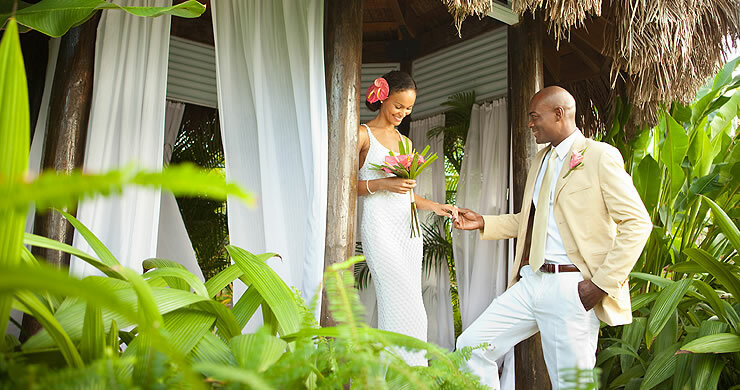 What advice would you give couples who are planning to get married in one of the resorts? Read through all the information on weddings for the resort you’ve chosen for your special day. Get in touch with the resort’s coordinator as soon as possible and we will then assist you with everything else. At Couples Resorts, you’ll start your married life together in one of the most blissful island surroundings in the whole world. We promise to make sure your special day is absolutely perfect.